What if you were told you could improve your golf game without ever having to hit a single golf ball? You have probably seen all the advertising and have asked yourself What is Tathata Golf? Is it just another golf industry gimmick or does it work? I can tell you that is does work if you are willing to put in the time and effort. Here is a Tathata Golf Review describing some features and benefits of the 60-Day Training Program. The Tathata Golf Program is a 60-Day Training Program designed so golfers of all levels can learn how to move their body in a synchronized way with a golf club in the comfort of their very own home. It is a martial arts style training program, including stretches and mental training. Students will learn the exact movements of some greatest players to have ever played the game. Names like Jack Nicklaus, Tiger Woods, Annika Sorenstam and Greg Norman to name a few. It was created by a gent named Bryan Hepler who has been around golf his whole life and always thought traditional golf instruction is too complicated. 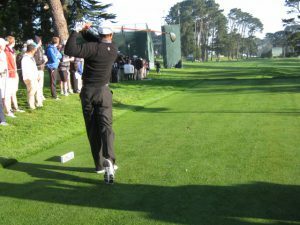 He thought there must be an easier way and has created the 60-day Training Program designed for golfers of all ability levels. After being pretty skeptical, I purchased this program in September 2017 and thought to give it a try. The program has recently been upgraded. The original program I tried was called the legacy program which is no longer available. The new Tathata Golf Program has been relaunched and is only a couple of months old. The movements are a little more simplistic and the videos are a little shorter than the previous program, but the core is very similar. After getting my game to a reasonable level before the original program, I always knew that there is one thing that I struggled with and that was consistent ball striking. Short Game generally kept me in it and I am excited to play some golf in the new year with the more consistent ball striking that I have achieved from Tathata Golf Training. Much like most reading this blog, I work full-time and find it hard to find time to actually play golf. My driving range sessions would suggest that my ball striking has improved a lot from the program and I now swing the golf club in a synchronized way with the body. I thought this wasn’t possible with the previous back problems I have had in the past. My golf swing in the past was generally all arms, but I did manage to get down to a 2 handicap because of a reasonably good short game. The Tathata Golf Program will teach golfers how to use their body in a synchronized way with the golf club, which will help hit shots with speed, safety, and strength. I really like the way Bryan Hepler relates the swing to other sports and how most sports are instinctive. Golf should be the same, but it has been incredibly over complicated in recent years. The Tathata Golf Program features seven chapters which all relate to each other as students move forward. There are some changes to the new program compared to the original legacy program, but all the movements are generally just a bit more simplistic. There is also a Uneven Lies, Trajectory, Shape and Strength course so golfers can develop each part of their games. The first chapter of the Tathata Golf Program is learning the setup. If the setup is correct it gives golfers a much greater chance of hitting the golf ball more consistently. Learn how to setup to the golf ball with a sense of energy and how it relates to different sports. In the second chapter, students will learn the exact body movements of some of the worlds greatest ever golfers. After going through the entire original program, I really feel that the Body Movements part of the program is the most significant. If a golfer can learn how the body moves correctly throughout the golf swing it will improve ball striking and consistency dramatically. Students don’t realize this early in, but this is a way out of thoughts of swing mechanics and is a significant step to improvement. After the correct body movements are learned then the golf club gets introduced. This is a part of the program where students start to question their previous beliefs on where the golf club should be during the golf swing. All the movements are backed up by the greatest golfers to ever play the game. If a golfer moves their body correctly during the swing and applies the correct pressure, the golf club will get back to the correct impact position. The correct grip and pressure throughout the swing are all taught and explained thoroughly in this section. This is a part of the Tathata Golf Program where your own unique golf swing really starts to build. Golfers will notice an increase in both consistency and distance if they apply the training. Learn how to play all the different types of Uneven lies that golfers of all ability levels tackle whilst out on the golf course. Students discover how easy the short game can actually be if it is kept simple. Learn the movements of some greatest golfers to ever play the game and how they got so consistent with the short game. Learn how to create energy and putt to your potential with the use of Tathata Training. Finally, we learn how to take all of what we have learned to the Golf Course. Each Movement is backed up by some movements of the greatest golfers to have ever played the game. Bryan Hepler stresses that all these movements have always been there, but have been misunderstood with recent golf instruction. Some greats include Jack Nicklaus, Tiger Woods, Annika Sorenstam, Mickey Wright, Ben Hogan, Gary Player and Greg Norman. The Tathata Golf program does also include a stretching routine to helps students get into the desired positions during the golf swing. I would advise being careful if you have any pre-existing injuries before you undertake the training. The stretches are actually pretty simple and take no more than ten minutes. There is also a mental training section included in the Tathata Golf Program. This part of the training is not for everybody, but if students are open to learning something new it can work wonders for their game. The Tathata Golf Program also has a section where there are deeper discussions on common misconceptions in the Golf Swing. This is one of my favorite parts of the program. Bryan Hepler explains each section in a very professional manner which is backed up by years of research. Some discussions in the early parts of the program include grip, aiming and swing plane. Each week the Tathata Team sit down and answer questions from students all over the world relating to Tathata Training. I asked a question about golf equipment on a recent episode and it was answered very professionally on the Tathata TV show. The exact episode was on the 5th of December if you want to check it out. I hope you got some decent information out of this Tathata Golf Review. It is difficult to find information on the program and there were not a lot of reviews on it from golfers that have tried it when I was willing to give it a go. This 60 Day Program is ideal for golfers of any ability levels particularly more experienced players who have struggled with consistent ball striking. Learning how to swing the golf club in a synchronized way with the body has always been the best way to achieve consistency. Beginners also have the chance to learn from scratch and make improvements at a rapid pace. If you have any questions feel free to ask them below. This is really cool. I love golf and I always play when I have downtime. The only thing is that, I am not very good lol. My swing is soo inconsistent and I hate it. I work very hard at developing my swing and somehow I Just can’t get it right. I am glad I came across this article because I got a tournament coming up and I want to be ready. I am definitely going to check Tathata out. Thanks. To be honest with you, I have never came across an easier way to learn the fundamentals of the game of golf. The Tathata Golf Program makes everything so easy to understand and implement. If you are looking for a more consistent golf game then it is definitely worth doing. The movements are backed up by some of the greatest golfers ever and will begin to make a whole lot of sense when students are learning them. The Goal of the Tathata 60 Day Training Program is to teach students how to hit the golf ball and use the body in a synchronised way with the golf club. After about the 20th day, I noticed I was really able to hit the golf ball with Speed, Safety and Strength. My Mishits are not nearly as bad and the ball is consistently flying further. I think golfers of any ability level would benefit from the Tathata Training. All the best with your Golf Tournament. I am by no means a golfer, so I feel your site and the Tathata program could benefit me! I like how in-depth the training is, going from the actual mechanics to mental training etc. The way you break down all of the training topics and discuss just how deep this program goes is great. Excellent site! In my opinion the Tathata Golf Program is a massive short cut in learning the game of golf. The program starts with learning the correct body movements and how to move like some of the greatest golfers ever. The golf club is introduced in the third chapter and the need to get into specific golf swing positions will not be needed with the implementation of Tathata Training. Golf is a sport and most sports are instinctive. Tathata Golf really helps get rid of excessive swing thoughts which certainly does hold golfers of all levels back from reaching their potential. Sure golfing is great. I love it and would like to learn the golf swing the Tathata way. Is it easy to learn and can we learn it at our own pace? It would be fantastic to learn exactly how we should move our bodies to hit the golf ball consistently better. Would you recommend this training for a beginner? Yes the Tathata Golf Program would be a fantastic way for a beginner to learn how to play the game. It truly is a massive shortcut in learning how to strike a golf ball more consistently. The correct body movements are taught initially and the golf club is introduced at about a quarter of a way through the program. Students of all ability levels will notice more consistent ball striking as they progress through the Tathata Golf program. Each video lesson takes between 40 mins and an hour. Students can learn at their own pace and have unlimited access to all the videos as a member of Tathata Golf. I highly recommend trying this program to reach your golfing potential. This was really interesting information – as a former golfer finding information to help advance ones game is always something that is sought after. I’ve tried different programs but they all seem very one dimensional from the standpoint that they are all trying to mold golfers into a single technique which I disagree with. This program doesn’t seem to take that approach – I’ll be interested to see how this program unfolds for you! The Tathata Golf Program teaches golfers of all ability levels that they all have their own unique golf swing. This is achieved by learning the correct body movements throughout the golf swing and introducing a golf club into the movements as the training progresses. The Tathata 60 Day Training Program can honestly help golfers of all levels learn how to move their body in a synchronised way with a golf club. Once the movements are learnt, ball striking will improve dramatically and I can back this up as I have been through both the original legacy program and the new 60 Day Tathata Golf Program. Any questions let me know, but this is a very simple way to improve your golf. I love to golf but what I would really love is to golf better! The Tathata Golf Program sounds like it could be the training i need to get better. There is one guy in my golf circle that while he is not great either, he always seem to win, and never shuts up about it. This year i want to beat him, and then do it again and again, lol. Maybe i missed this, but is the Tathata Golf Program a membership site with the training inside? Or is it an at home course? The Tathata Golf Training Program is a 60 Day Training Program in which all the exercises and training can be performed in the comfort of your own home. They offer a yearly membership and also a free 7 day trial, so you can decide for yourself if you want to continue with the training. You will definitely be in a position to beat your friend if you undertake this training. Learning how to use your body correctly throughout the golf swing is essential to hitting better and more consistent tee shots. There is no better program out there to teach students how to consistently swing a golf club with speed, safety and strength. The Tathata Golf Program 60-Day Training Program sounds like a great training program because it focuses on breaking down the movements of the body, as well as the different situations one would face in the game of golf. That is exactly what we attempt to do in our basketball training at Hoop Assist: break down the movements and develop muscle memory while preparing for game situations! Great review! Yes the Tathata Golf Training Program is certainly a much easier way of learning the game of golf as opposed to the conventional styles of golf coaching. Once we have learned how to move our body, hitting consistent golf shots is a lot easier to achieve. The program is also backed up by some of the greatest golfers ever. Anybody who has been struggling with their golf or looking at taking up the game should use Tathata Golf Training. It will speed up the learning process and there will be no confusion with any of the movements needed to achieve your golf potential. Seems like this is my day today. I’ve just made an enquiry on another website about golf putters for a beginner! This app looks great – and as you said it’s designed for golfers of all levels. I’d love to take up golf as a pastime so will be checking out this 60-day program. I know learning golf can be quite expensive. How does this compare to the cost of traditional coaching. The Tathata Golf Program is certainly a much less expensive way of learning the game of golf. The program consists of 60 days of training which with have golfers of all ability levels hitting the golf ball a lot more consistently. It works out being about three dollars per lesson which is significantly cheaper compared to the cost of traditional coaching. Let me know if you are interested in trying it and I can give you some more information. Does the 60-day training program have any form of virtual reality golf sessions or some actual golfing itself? Because it seems to only focus on body movements involved in golf. Also, would you say it is beneficial for someone who has absolutely no experience in golf to attend this program? 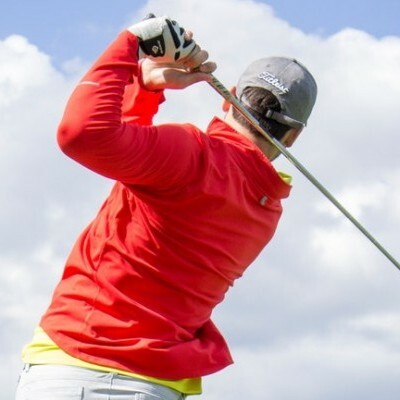 To learn how to hit a golf ball more consistently and improve at a rapid pace, a golfer needs to learn the correct body movements throughout the golf swing. Combining the body movements with the synchronisation of a golf club is where rapid improvements begin. All the movements required to hit consistent golf shots are included in the Tathata 60 Day Training Program. How to apply pressure to these movements is what has been missed throughout traditional golf instruction. You don’t even need to hit a golf ball, and all the training can be done from the comfort of your own home. These exact movements have been used by the greatest golfers of all time throughout the history of the game. If you have no experience playing the game and want to improve your game, then there is no better training program than the Tathata 60 Day Training Program. Golfers will improve at a rapid pace if they simply apply theses training methods. Let me know if you want to learn more. Hi Chris, this is a very informative review on the Tathata Golf – 60 Day Training Program. I’ve watched golf on T.V. on many different occasions. I knew it was technical but after reading this review I now have a whole new perspective on what it takes to become good at golf. If you are interested in making the game as easy as possible to learn, then the Tathata 60 Day training program will provide the best training for the quickest success. Learning how to move the body in a synchronized way with the golf club is essential to becoming a more accomplished golfer. It’s actually a great technique for the ones who are keen to learn golf. Not everyone has the chance to go out to the course all the time. The comfort of your home is sometimes the best place to get training. And 60 days may not be a long time to get drastically big results but in short time with enough discipline you can see some tremendous results. Yes, all the training for the Tathata Golf Training Program can certainly be done in the comfort of your own home. If a golfer applies the training properly, really good results will start being noticed in about 3 or 4 weeks..
What a great article! I am always left feeling sparked when I read your stuff! Thanks for posting that. This seems like a great training program. I think it’s awesome that you can make such a big transformation in just 60 days! That’s just my two cents. Thanks again for the great read! The Tathata Golf Program will help golfers of all ability levels get their games more consistent. The training is easy and golfers should start seeing an improvement in ball striking in about 3 or 4 weeks if they apply the training. Thank you for your review. The fact that this program focuses on the mental game is very important. I think it was Jack Nicklaus that said 90% of his game was mental. If I could perfect my swing to make it very consistent, which is something I struggle with. I would be a much better golfer. Keeping calm and working hard on the mental game has been proven to help people improve in any athletic pursuit. That, and visualizing the end goal. The great Jack Nicklaus was actually at the launch party of the Tathata Golf Program late last year. Jack Nicklaus is used an example throughout the entire of the Tathata Golf Program. The mental side of the game of golf certainly does get covered throughout the 60 Day Training Program. I would certainly recommend trying the Tathata 60 Day Training Program to get your golf swing more consistent. I am a huge lover of all things golf, and I like that you put that it is a martial arts approach to training with stretches and mental training. Mental aspect of the game is the key to huge success. I also like that it has been simplified. I have found this is the best for especially the newbie as well as the professional. Great post and I am looking forward to many other posts on new and upcoming tricks of the trade when it comes to golf. The Tathata 60 Day Training Program is arguably one of the best online training systems on the market. The fact that golfers can train in the comfort of their own home makes it easy to learn the movements and improve at a faster pace as opposed to traditional golf instruction. Hello Chris! What an interesting Tathata Golf Review! I had never heard of it before now and am very interested! Being a golfer my whole life, I immediately drew a fascination to your site. It reminds me of Moe Norman’s style a bit, with an exact swing each time and hitting the ball the exact same way. I love the helpful videos and information you provide. It’s hard to believe that in only 60 days, I could improve my game, and without even hitting a ball! Yes, it’s all in the swing! I am recovering from an injury last year. I broke my left Humerus Bone in two with several fractures in and around my shoulder. I did PT for 5 months and have made a miraculous recovery, as the doctors have said! Hoping to get back to my game and know this system would help! The Tathata Golf Program will definitely help anybody trying to get their golf swing back on track. The movements are very easy to perform and can be done at home. Once you are ready to start golfing again I would suggest to give it a try as they do provide a free 7 day trial. I used to love playing golf until my health prevented me from doing so. Now that I’m feeling better I would really like to get out there and play again. I used to live right on a Club Med course here in Florida, it was the 13th hole. I used to hit balls from my backyard to the green after the last golfers of the day went through. That’s the most I’ve played in 15 years. Would this program help me get in shape to get back in the game? What are the benefits of a long-term membership? Maybe I can finally get the help I need with my short game. Great news you are thinking about getting back into the game of golf. The Tathata Golf Program will definitely help you get back into the game as their is a stretching program that prepares the body for the movements. The short game is not introduced until later in the program, but golfers will be amazed at how easy the short game can be as it relates to the movements of the full swing. The benefits of the Long Term membership are complete access to all of the training programs whenever you need them. Tathata Golf also offers are free 7 day trial and monthly memberships are also an option. This is honestly the easiest way to learn the golf swing and an important part that is missed in traditional golf instruction is introduced early in the program.